Fishing it's the new rock 'n' roll for the 21st century. 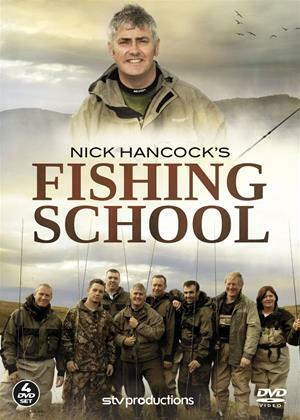 'Nick Hancock's Fishing School' invites six passionate but novice anglers to undergo an intensive 10-days training to learn to game fish. Giving up their work, families and friends for almost 10 days, the group lives together in Scourie, Sutherland at the top-west coast of Scotland. Stunning, but remote and rugged, it's not a place for the faint-hearted, but it has some of the best wild brown trout and salmon grounds in the world. Fishing School has one mission: to take six novice anglers and turn them into game anglers in just 10 days. They re all desperate to land the big one, but can they do it?